Our activities include cultural exchanges and expeditions, multimedia documentation, and supporting local cultural preservation organizations. 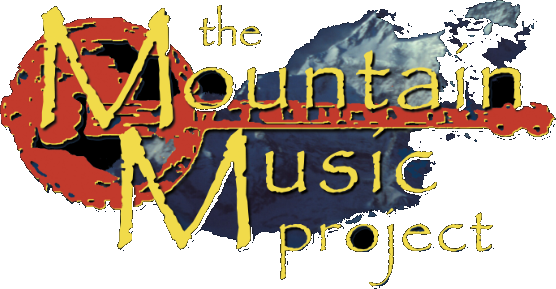 Our commercial CDs and DVDs are managed by Mountain Music Project, LLC, registered in Virginia. Our charitable fundraising efforts are now overseen by the Center for Traditional Music and Dance, 501c3. We’re currently working to help musicians preserve their local traditions in Nepal, Bhutan, Thailand, Burma, and wherever the songs carry us. Does your community have a musical tradition that might not get passed to the next generation? Let us know! Between 2009-2015, we focused on providing music education to underprivileged youth in Nepal. To learn more about these programs, and how you can help us revive them, click here. Radio Netherlands, the Nature Conservancy Podcast, the Pulitzer Center on Crisis Reporting, and Outer Voices. Jacob has recorded traditional musicians in more than 30 countries. He’s a contributing writer for the Rough Guide to World Music, has helped preserve audio recordings for Easter Island’s Museo Anthropologico, built radio stations in Borneo, documented endangered native languages in Alaska, and trained musicologists throughout South and Southeast Asia. Tara Linhardt is a co-host on our film and production coordinator. In addition to being an award-winning mandolin player from Virginia, winning first place at such festivals as the Mt Airy Fiddler’s Convention and the Maury River Fiddler’s convention, she also lived with Nepali families and studied in Nepal for a year and is a fluent Nepali speaker. She received a bachelor’s degree in International Relations from the University of Wisconsin with two years of that study done in Asia. She has a Masters in Education and has been performing and teaching traditional music for years both privately and in festivals, workshops, and traditional music camps such as the Traditions Week at McDaniel College in Westminster, MD and the Gettysburg Bluegrass Festival. She has also given presentations on Asian and Appalachian cultures and music at Shepherd University, Muskingum University, and The Asia Society. Danny Knicely is a co-host of our film and a music producer and fourth generation Appalachian multi-instrumentalist from a Virginia family steeped in mountain music tradition. He has won many awards for his mandolin, guitar, and ﬁddle expertise, including 1st place mandolin at the Telluride Bluegrass Festival. Danny has used his roots in old-time and bluegrass to explore many types of music from Irish, Jazz, and Latin, to the various styles he’s encountered while performing and studying music in India, Nepal, Tibet, and China. He has an awesome ability and desire to learn music from local musicians wherever he goes. He performs nationally and internationally with many different bands he is in and has also given presentations on the similarities between Appalachian and Himalayan music at Columbia University, the University of North Carolina-Chapel Hill, Augustana College, Dickinson College, and for Asia Network.